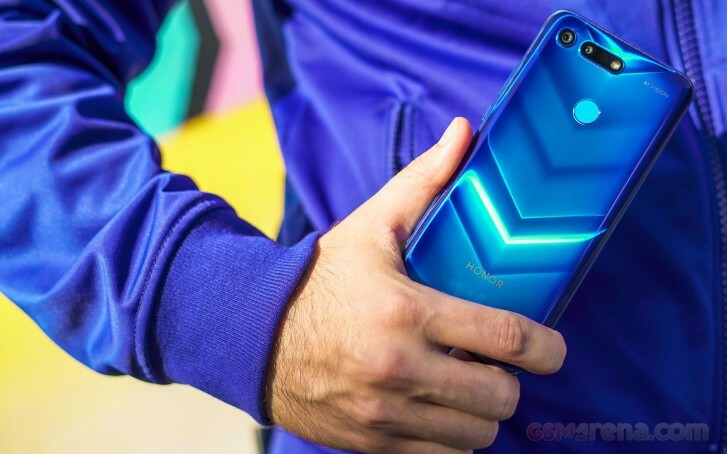 The Honor View 20 is doing great on the global market with over 1.5 million sales in its first month. 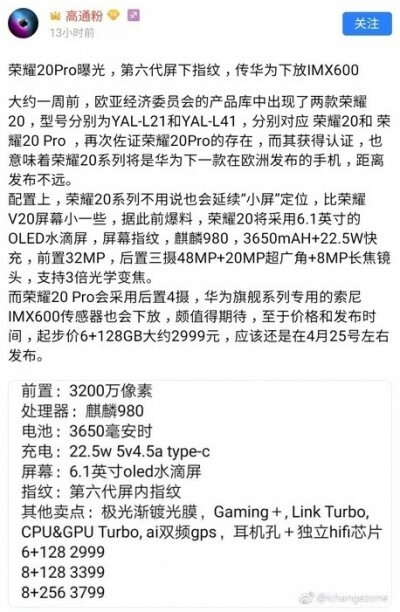 According to rumors from China, the Huawei subsidiary is preparing another flagship device called Honor 20 Pro. It will have the Sony IMX600 camera sensor and could arrive as early as April 25. The new device will have a 6.1” OLED panel with an under-display fingerprint scanner, and it could be the first Honor phone outside China with the technology (it is currently available only on the Honor Magic 2, a China-only smartphone). The chipset is said to be Kirin 980, coupled with three memory configurations - 6/128 GB, 8/128 GB, and 8/256 GB. Since this phone is said to be “Pro”, its cameras are likely to be better than the Honor View 20 setup. The sources claim it will have a 40 MP camera just like the Huawei P30 Pro. The main shooter will be coupled with a 20 MP ultra-wide-angle cam and an 8 MP telephoto lens with 3x optical zoom. There are also the usual Chinese software boosters like Gaming+, Link Turbo, CPU & GPU Turbo, etc. Prices are expected to start from CNY2,299, which is less than $450 and if the rumor is real, that could be a pretty decent cost for such an excellent device on paper. It seems Honor 20 Pro is also deviated from Mate 20 Pro with generally weaker specs and lower price. Yet, I really hope Huawei would keep using traditional capacitive fingerprint sensor instead of the newer but slower UD one. It's poorly reachable on the back and often not reachable at all, as located too high.